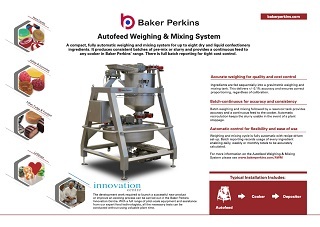 The Autofeed is a compact, fully automatic system to weigh up to eight dry and liquid confectionery ingredients and mix them into a homogeneous slurry. It can feed all the cookers in the Baker Perkins' range. There is full batch reporting for tight cost control. 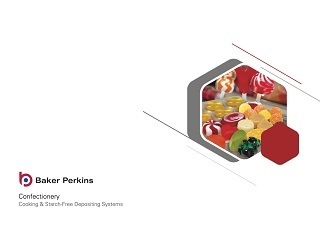 Up to 20 different recipes can be pre-programmed and stored in the PLC controlled system, minimizing operator involvement and error. 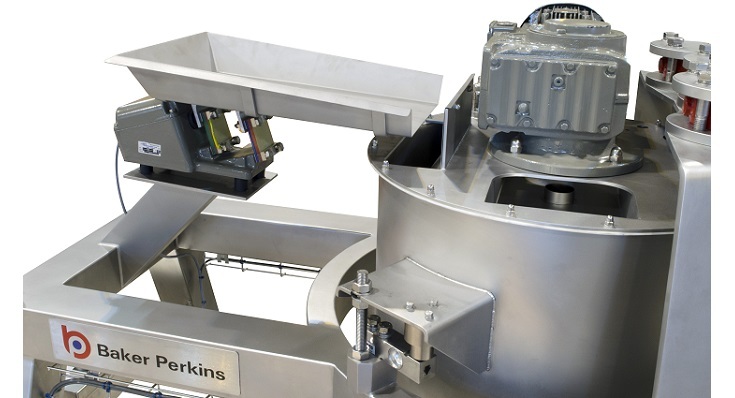 Up to eight different ingredients can be fed into the weigh hopper including water, glucose, granulated or liquid sugar, condensed milk and melted fat or oil. 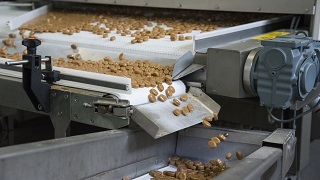 Optional modules are available for metering brine and lecithin. A flowmeter at the water inlet aids calibration and monitoring of different recipes. Full reporting of every batch means that usage of every ingredient is recorded enabling actual daily, weekly or monthly totals to be accurately calculated. Hygienic components and materials are mounted on a one-piece welded stainless steel frame with good access underneath and throughout for cleaning. Parts have been minimized and exposed surfaces angled where possible to reduce accumulation and cleaning. 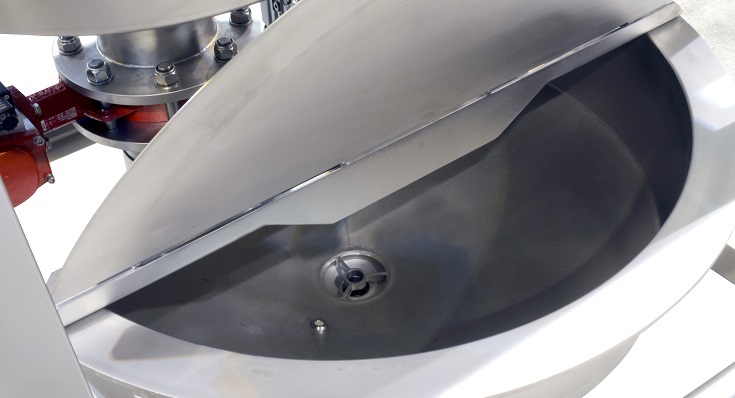 Hygienic dairy connections are used on the reservoir tank and transfer pump. Most on-machine wiring has been eliminated to remove a potential hygiene hazard. The frame houses all the process units, with excellent access from outside the machine for maintenance. 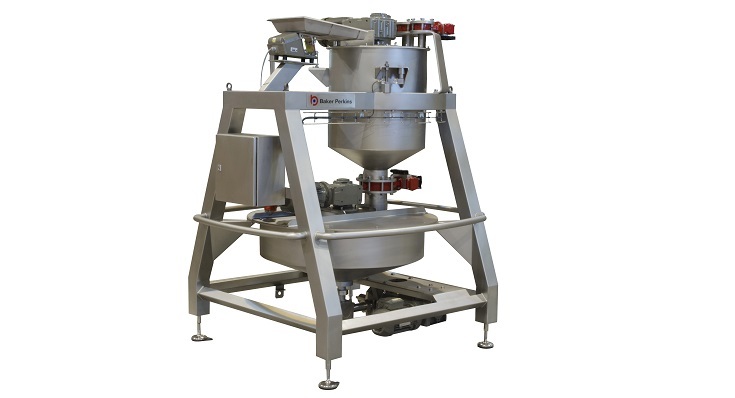 The fixed speed mixer and stirrer motors are soft start to reduce loads which allows them to be direct-linked, eliminating potential coupling failure. 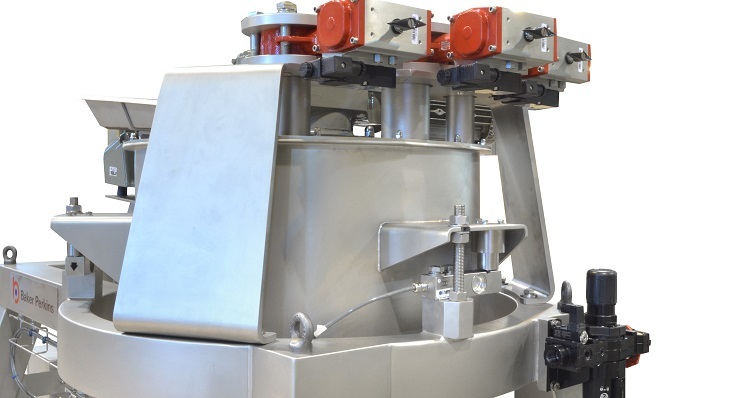 • Three electro-pneumatic valves for liquid ingredients.